Ships today if you order in the next 14 hours 16 minutes. Pomella is a 100% all-natural pomegranate extract with punicalagins. It was found to have more antioxidant activity than acai, grape seed, green tea and resveratrol. Lutein and zeaxanthin are powerful antioxidants that are found together in some vegetables, including kale, spinach, collard greens, broccoli and corn. Satria glutathione is a supplement form of the substance found in every cell of the body. It provides antioxidant protection and is known as the body's main defense against free radicals. Metabolic Maintenance uses these as main ingredients in its Deluxe Scavengers with CoQ10, a natural supplement that offers premium antioxidant support. 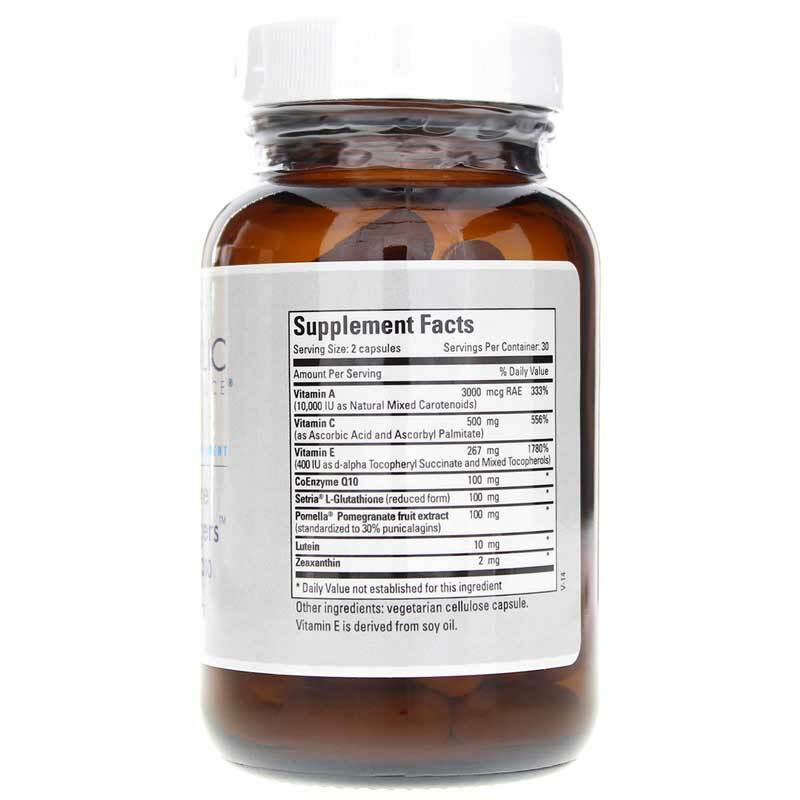 This supplement is gluten free and excipient free. Recommended use is to take two capsules daily with meals or as directed by a healthcare provider. 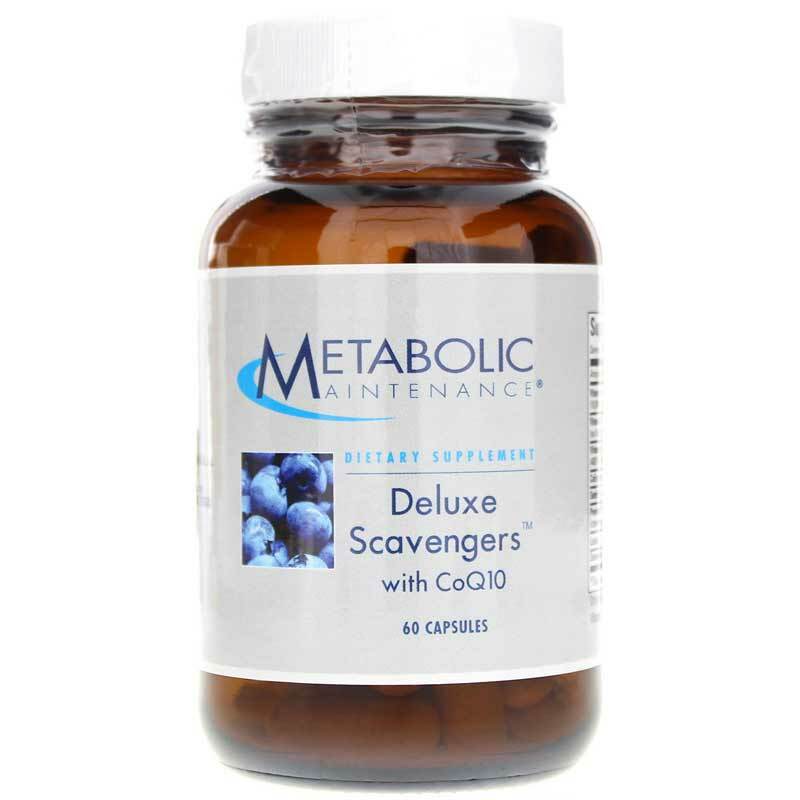 If you're looking for premium antioxidant support, check into Metabolic Maintenance's Deluxe Scavengers with CoQ10. Order online today! Other Ingredients: vegetarian cellulose capsule. Vitamin E is derived from soy oil. 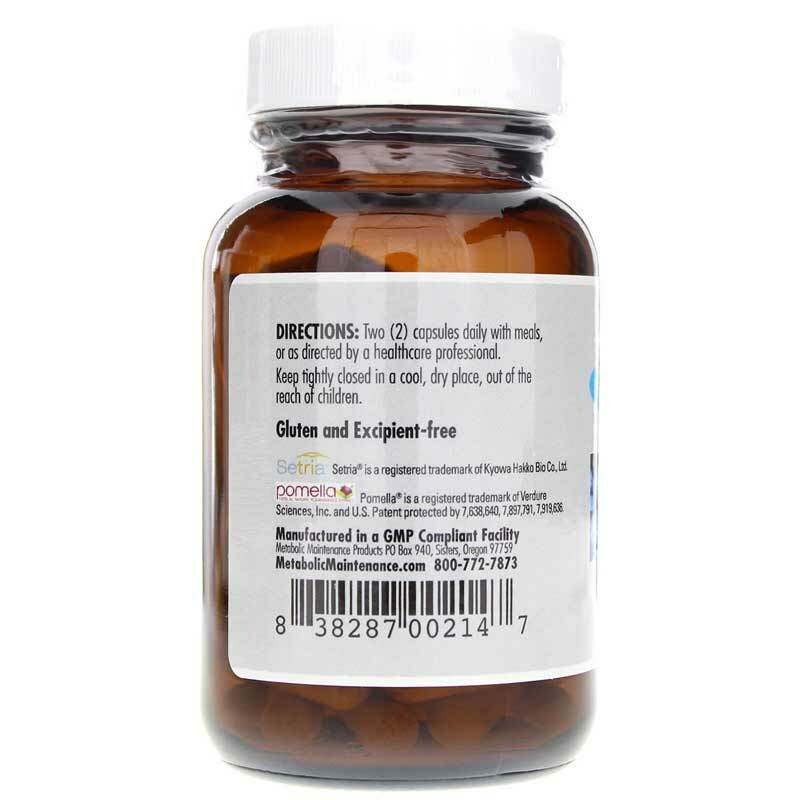 Adults: Two (2) capsules daily with meals or as recommended by a healthcare professional.